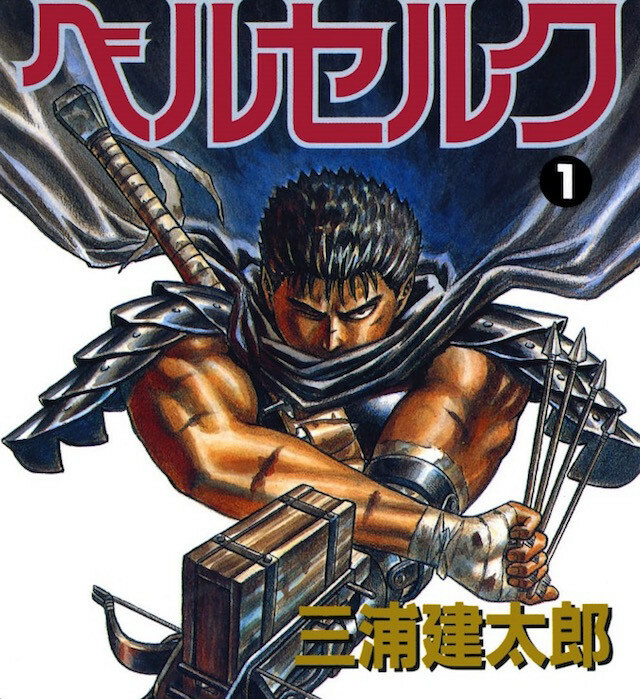 Berserk home anthology Young Animal recently commemorated the new anime adaptation with a series of discussions between author Kentarō Miura and a variety of guests. The first has Miura-sensei speaking with legendary former editor Kazuhiko Torishima, and we’re happy to present a translated version! Thanks to Elissa Sato / Rei Miyasaka for the translation work. Profile: Joined Shueisha as an editor in 1976. Known for being a strict editor with "Vetoed!" as his catchphrase, he discovered many now well-known manga artists such as Toriyama Akira and Katsura Masakazu and sent numerous famous works out into the world. He retired from his position as senior managing director at Shueisha to assume his current position as the president of Hakusensha. - Thank you for being here today. We understand it was you who wanted this meeting to take place--can you tell us why? Miura: There are many reasons. I wanted the discussion to be with someone who has impacted my professional life as a manga artist. The work that had the greatest impact on my work is Fist of the North Star. At the same time it was being serialized in Weekly Shonen Jump, there were other ongoing series like Dr. Slump, Dragon Ball, and Saint Seiya. Mr. Torishima was with Jump during my junior high and high school years—a very formative time of my life. First, I'd love to hear about Mr. Torishima's family and childhood, as well as adolescence. Torishima: You're interested in that? I guess I've never said much about any of it. Well, first off, I had no friends. Miura: Were there reasons for that? Or maybe you just decided not to make friends? Torishima: I could never find anything in common to talk about with other kids. With regard to my family, I guess I didn't really have a good relationship with my dad. Of the many things I can remember him saying to me, if I were to choose one, it'd be "being penniless is worse than being headless." Throughout my childhood, that was his message about how life worked. Another one would be "don't be so stupid as to be called a sensei." Professions where you get called that are considered sacred, but they also come with stress and other downsides. I think what he meant was to look past the title and into the person. Miura: Your father was a smart man, then. Torishima: My mom was a very positive woman. One thing she used to say is, "if you deal with idiots, you're also an idiot." If idiots are coming up to you and trying to get a rise out of you, you have to ignore them. I guess that's how my parents were. Miura: I see. Were you in Niigata the whole time you were growing up? Torishima: Yes, that's where my hometown is, but I actually don't like Niigata people. When you live out in the countryside, you spend kindergarten, elementary school, and junior high with almost the exact same group of people. That's what I didn't like. Torishima: After that, I couldn’t make it into university, so I moved to Tokyo to enter a prep school. Miura: Did you feel like things opened up for you more in Tokyo than you did at home? Torishima: I felt liberated, having discovered for the first time in prep school that there are people who share my interests and who are smarter than I am. Miura: Still, you spent a large part of your youth – your high school days – in Niigata. Is there anything that was memorable to you about that? Torishima: Nothing. I just read books the whole time. During middle school, I tried to read a book a day. Miura: That’s impressive. What kind of books did you read? Torishima: Anything and everything. I would go to multiple libraries every day – the school library, the city library – reading anything that would catch my interest. Miura: Was it during the student revolution that you were in college? Was there still an air of violence at school? Torishima: There was some. Most of the people revolting lacked imagination. They were incapable of thinking what would happen at the end of it all. I went to college against my dad’s wishes because I thought it would be the best way to achieve financial independence. But then the oil shock hit, and companies stopped hiring. That was a huge miscalculation. Miura: There was no way you could have seen that coming. You had no friends; you got in trouble at school; do a lot of your stories involve getting into conflicts? Torishima: I think so. What I hated the most was people who would thoughtlessly throw labels around. Ever since I was little, I’ve felt that people who aren’t able to express their own thoughts and ideas using their own words were lacking. Miura: Did you feel that way even before you started reading books? Torishima: Hmm… I don’t know which came first. The kids at my preschool used to pick fights with me, too. The teacher would take the other kid’s side, even though they were clearly in the wrong. I knew that the teacher was close with the kid’s father, so I accepted it as just plain favoritism. And then when I moved on to elementary school, the teacher and the kid’s dad got married (laughs). Miura: How did you gain such observational skills? Torishima: I didn’t really “gain” skills; there’re just things you notice when you pay attention. Miura: I know there are some kids that are unbelievably astute from when they’re really young. You must be one of those people. Q: What was your early youth like? Miura: To be honest, I was quite a stupid kid (laughs). I was born in Chiba, and I lived in Yachiyodai, Chiba until second grade. I lived in Kajigaya, Kanagawa from second-year middle school, and Tsurukawa, Machida until college. I’ve been moving about since I became a manga artist. My father used to do storyboards for commercials, and my mother taught an art class. They married while they were both students at Musashino Arts School. So even when I was little, I would sit in the corner of art classes and draw. Soon I began wanting to become a manga artist. Torishima: Did it ever get to your head at home that your father was a storyboard artist? Miura: I had lots of opportunities to see his work before he submitted it, so of course I was conscious of it. His drawings would end up on TV commercials, so that’s how I got to know about the work he does. Q: Were you always able to understand storyboards, even since you were a child? Miura: Storyboards are made to convey meaning by pictures alone, so of course I could. I think my paneling style might have taken inspiration from my father. I’d stopped doodling at preschool, and in elementary school, I began drawing manga. I started off imitating others’ work, such as the manga in study magazines and such. Torishima: What did you think of the paneling as you did your imitations? Miura: Hmm. I never really took note of it. Torishima: Did your editors ever teach you about paneling? Miura: Yes, actually, my editor taught me the basics. But I had a vague idea of how to do it even before I was taught. Torishima: Your dad’s storyboarding must have had a positive effect after all, then. Miura: I have a pet theory: If you can’t think of your own personal history as a story, you can’t become a manga artist. So I figure I should picture Torishima-san as a manga character as we do this interview (laughs). 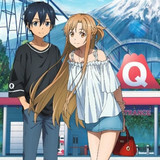 Q: Does that mean you look at the people around you – your family and friends – as manga characters as well? Miura: I think it’d be more accurate to say that I gradually begin to see them as characters. If I spend enough time with a person, I get to learn about their personal lives and about fun anecdotes. That gives me a sense of who they are fundamentally, and the anecdotes begin to paint a picture of what kind of person they are. Torishima: I guess it’s not like you’d ever ask a person about their parents as soon as you meet them (laughs). Torishima: So, when did you start actually working towards a career as a manga artist? Miura: I first started taking it seriously in high school. It’s not often that you come across someone in a normal high school who is trying to become a manga artist, right? So in order to meet people who had the same aspirations that I did, I went to a school that had an arts department. And I actually met people there. 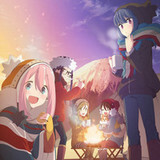 We became friendly rivals, and that made me much more conscious to the fact that I was going to become a manga artist. Of course, the only two people among us who actually ended up becoming manga artists were me and Mori Koji-kun (known for Suicide Island and others). Torishima: Did you submit your work somewhere since you decided to become a professional? Miura: I did indeed. I think my first one was Weekly Shonen Sunday. Mori-kun and I co-authored a piece, which we sent, but it got shot down in the last round of selections (laughs). It was a sci-fi piece; those were popular back then. Come to think of it, Mori-kun played a huge part in my life. He was like a Johnny’s lead singer. He was popular with the girls and a bit naughty, getting into fights and such. But he was serious about becoming a manga artist, so he left his delinquent-infested hometown to start over at art school. Torishima: How exactly did co-authoring work? 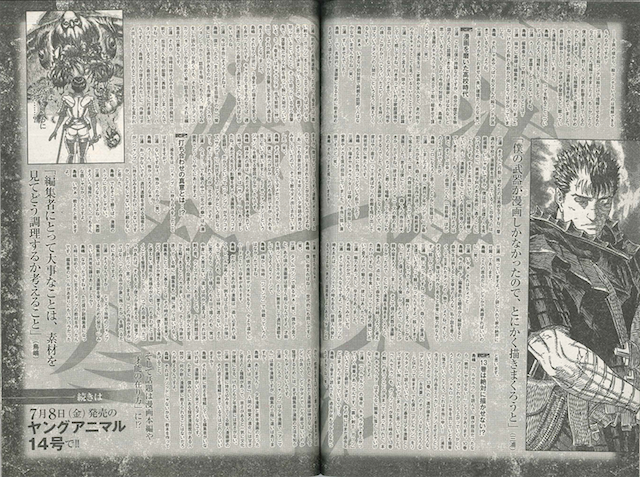 Miura: Mori-kun was in charge of doing drafts and character designs, and I did the background art and mechs. It was a really shoddy manga, though (laughs). Torishima: Do you still have it? Miura: I do. I have it tucked away in my closet, in a plastic bag. Torishima: It’s your starting point. You should re-publish it somewhere (laughs). Miura: Nah, I don’t know about that. Torishima: From an editorial standpoint, you could say that Mori-sensei was the kind of person who was born to write I-Novels, like Dazai Osamu. Those kinds of people are very magnetic in their teens. I bet he seemed awesome to you, didn’t he? Miura: He did. It actually made it hard to be normal friends with him. He was so awesome that if I didn’t stay away from him, he would dwarf me. I didn’t like my options, so I fought back the only way I could, which was to keep working on manga. Torishima: So you tried to compete with him in manga skill. And he was so awesome that you clenched your teeth and stood by his side despite it all. Miura: He was awesome, and it was difficult for me. Torishima: Sounds like Guts and Griffith. Miura: That was actually the inspiration. 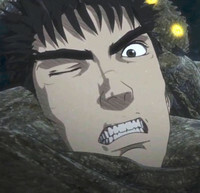 But sometimes I would be Guts, and sometimes I would be Griffith. It’s probably something that happens a lot in guys’ relationships. Would Never Let You Write Volume 13?! Torishima: Having read Berserk, there’s something I’d never have let you do if I were assigned to it. In Volume 10, when we’re about to find out how Griffith gets ahead, he seduces Charlotte with ease. That really hurt! I felt like you were trying to bring the story to a climax, to hurry to Volume 13, to make a homage to Devilman (Nagai Go). But I was reading Devilman as it came out, and that kind of out-of-control storytelling wasn’t a good idea in a Shonen manga. Even in Berserk, I knew what would happen in Volume 13 after Griffith fell. You can’t normally just let a character go down like that so easily. 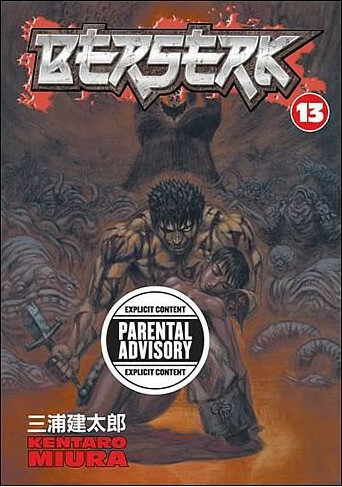 Miura: In Berserk, there was a particular order in which the characters would be complete. “Black Swordsman” Guts was the first thing I was set on. At the time, I didn’t have any idea what his backstory would be. Torishima: You really couldn’t tell anything about his past even in Volume 3 (laughs). 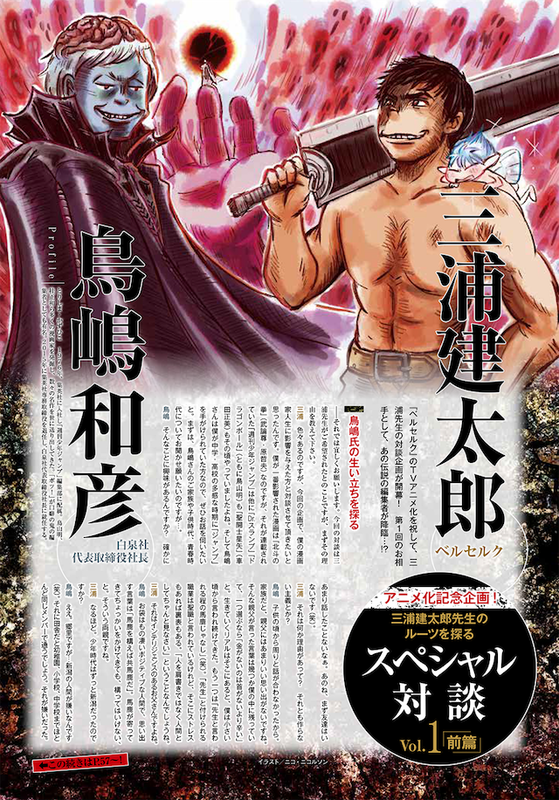 Miura: It was my first long-term serial, so I was fixed on bringing out the “Black Swordsman” aspect as much as I could. What I’d decided on was that he was angry and black all around. And because he was so angry, he was vengeful, and because he was vengeful, he wielded a huge sword and a cannon. 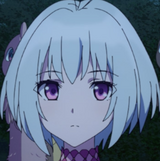 I focused all my efforts on the character development up until around Volume 3 or 4, and then I would think about what brought them to revenge. Torishima: Then you could have done Volumes 1 through 3 differently. For weekly magazines, you need to finish presenting your characters by the third week. Miura: That’s really how it is these days, isn’t it? Torishima: If it were up to me, I would discuss what the protagonist wants and what kind of past they have, and have the author write that into the first chapter. Even if the one-shot that you submit is good, I’d discuss it more, pick it apart, and then do the first chapter. That’s the job of an editor. Miura: Well… The magazine I submitted to at the time was on the verge of going under, and my editor had just gotten transferred to another department. And then I was switched around between several editors, until I was finally with my first editor. They say that authors improve with repeated criticism, but I landed the serial as soon as I made my debut, so I never had the opportunity to receive much criticism. Oh, but I was submitting manuscripts to a Shonen magazine for about four years before Hakusensha, so I got plenty of criticisms there (laughs). Torishima: How come that Shonen magazine didn’t work out? Miura: Part of it was that I just wasn’t capable enough, but aside from that, they just weren’t interested in publishing science fiction or fantasy. Torishima: That’s true, there was an Adachi Mitsuru boom at the time, and Shonen Sunday had the most momentum. The manga industry was all about romantic comedies thanks to Adachi-sensei’s influence, but there were questions about whether it was the right idea for Jump to go after Sunday with romantic comedies. And that’s how Fist of the North Star came to be. Miura: Wow. 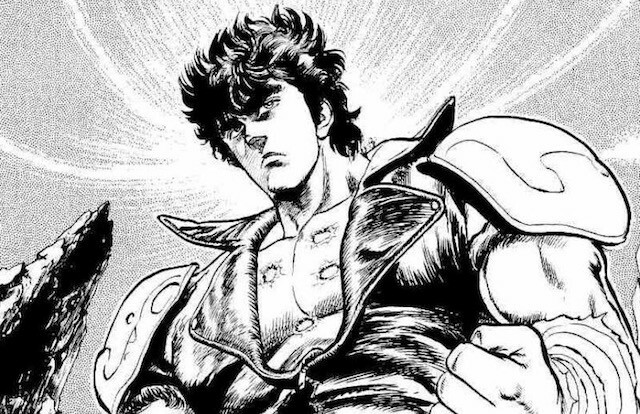 Fist of the North Star is central to the manga world in my mind, though. Q: Miura-sensei, have you ever submitted manuscripts to Jump? Miura: I haven’t. I was too chicken (laughs). Torishima: Yeah, that would have been scary. Miura: It’s terrifying. All the elites who want their works serialized in a weekly magazine submit their work to Jump. I didn’t think I stood a chance. Torishima: You could have made it to the top of the manga world if you succeeded there, though. Miura: I know, right? That’s really how it was over at Jump. But I just wasn’t cut out for it. Torishima: Nah, I think you’d have put up a good fight. Torishima: If you’d met me, you would! We happen to be contemporaries, too (laughs). Miura: Let’s go back in a time machine (laughs). If you were to ask me, all the manga artists back then were superhuman. They were already talented, and they were giving it more than their all in order to be published in a weekly. Torishima: You’re right, being published in Jump might not have happened back then. Q: I get the sense that creating manga back then was much harder than it was now, especially without the help of digital technology. Torishima: That’s precisely why the manga artists back then were pressured to up their game even more. For example, finishing a manuscript within two days wasn’t particularly impressive back in the day. Not only that, there actually wasn’t much difference in substance between a manuscript finished in two days and a manuscript finished over four days. The only difference was determination. It’s like in quiz shows: When you have three options, you’re more likely to hesitate and get it wrong. Your first guess is often the correct one. Also, the editor mustn’t join the author in hesitating. It’s important for the editor to see the raw ingredients and decide how they should be cooked. In other words, it’s important to know how to determine what should be used and what should be cut. The point of a meeting is to bring order to the content – to figure out how to make use of the panels that stand out the most. In fact, it’s the same for reader questionnaires, too: The point is to figure out not what they liked, but what stood out. Miura: I see! By the way, were there any tricks of the trade at Jump’s editing team for improving beginner manga artists? Torishima: Not really. But it was when I became the Deputy Editor that I made all of Jump’s teaching material leading up to now. Jump’s editors were all over the place in terms of skill level. There were a ton of editors who thought it was enough to give feedback, but that doesn’t help the manga artist improve. To make sense of what works, what doesn’t, and what to fix, the editor first has to know the author’s writing style. Miura: So Jump is Shonen manga, and Animal is Seinen manga, but was there any difference in the editing process? Torishima: Nope! The only difference between Shonen manga and Seinen manga is “bitterness.” The human palate changes in terms of sweetness and bitterness. When bitterness joins the mix, culture becomes explosively more complex. But Shonen manga doesn’t have bitterness. 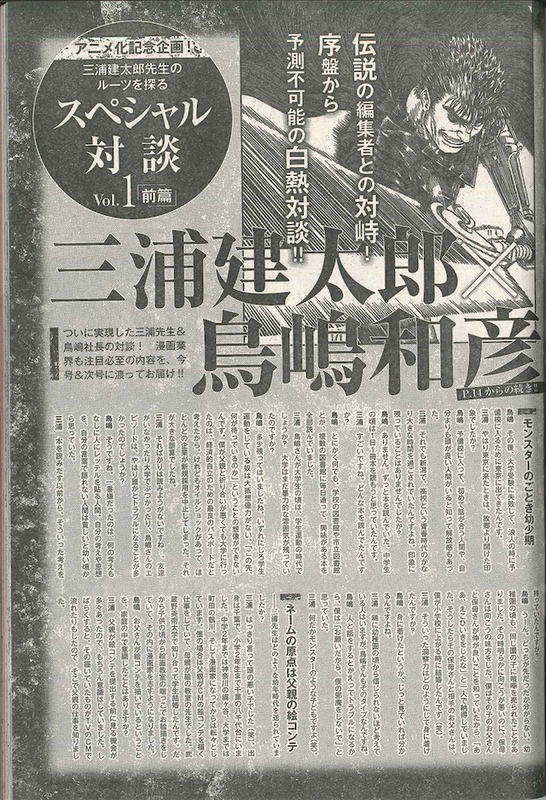 Miura: How many people among those who submit to a Seinen magazine understand this “bitterness”? Torishima: Never mind that; no number of manga artists would suffice if there weren’t any editors who understand it. Miura: Sometimes, once you have some manga experience like I do, you start wondering if there’s anything you can teach the new manga artists. Torishima: I think it would be in methods. To write educational books.